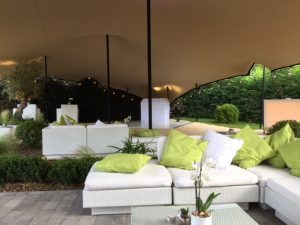 As experts in outdoor event furniture hire, at Rio Lounge we need to ensure that our hire furniture always looks its very best. Regularly refreshing and maintaining our stock is absolutely essential. However, simply knowing that our hire furniture looks stylish is not enough. Being part of a high quality, ethical, manufacturing and supply chain is equally important to us as a business. Fully understanding the whole story of our products is key; knowing how they are made, and who makes them! the importance of ethical manufacturing…. Our clients too, are placing increasing importance on ethical manufacturing. Hiring safe, high quality furniture made to British Standards is obviously paramount. However, customers should also feel reassured to know that the employees making the products are being paid a fair wage and working in good conditions. We strive constantly to ensure the highest standards of production, by working closely with a range of independent suppliers both in the UK and in China. Carrying out regular factory visits, both at home and overseas, ensures that these standards are being met. Observing our products being made, and getting know the people who make them, is all part of the process. Take a look behind the scenes…. In this feature we take a look behind the scenes at what’s involved in the making of our most popular rattan furniture hire range: our Marrakesh White Club Sofa Set. Using synthetic rattan for its durability and weatherproof qualities, our rattan furniture is all hand-made. 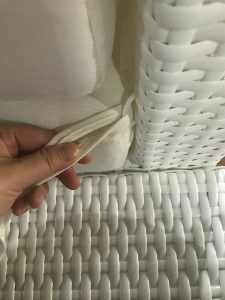 Manufacturers of hand-woven synthetic rattan furniture are almost all in the Far East; we therefore use a manufacturer in China for this product. 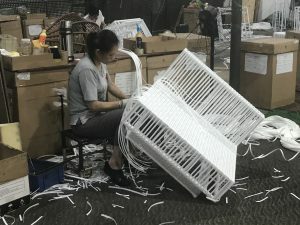 Our supplier in China makes our rattan furniture by hand from a highly durable, weather-resistant polyethylene. All of our rattan furniture products feature the same classic tight weave that would be used with natural rattan. Compared with natural rattan, however, synthetic rattan is far more hard-wearing and suitable for use in the great outdoors. By insisting on hand-made, as opposed to machine-built furniture, we are able to offer outdoor furniture for hire of the highest build quality. The Marrakesh White Rattan Sofa starts life as a powder-coated aluminium frame. Using an aluminium frame as a base gives the furniture maximum strength and longevity. It’s also lightweight for our crew to handle and will not rust. Cheaper rattan sets have a steel frame which is much more difficult to handle due to its weight, and will corrode over time. Workers weave each strand of rattan individually onto the frame – take a look at the images to see how it’s done! Made from a durable shower-proof cotton fabric in white, our cushion covers are tough and hard wearing. Due to the nature of our business, our cushions need to be washed after every single use, so they’re clean and ready for the next hire. Because the covers are taken off and put back on so often, robust high quality zips are also essential! Keeping our cushions pristine is a vital part of the furniture hire process. Inevitably, the furniture does suffer some spillages while out on hire. So it’s just as well that our UK laundry team are experts at magically removing the most stubborn stains, from red wine to fake tan! 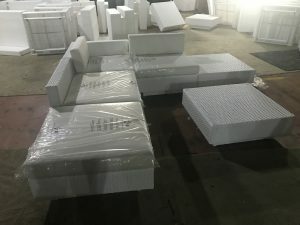 Customers can always hire with confidence, knowing that the cushions are well made, clean and that the foam inside meets British Standards. Quality control and shipping – The final stages…. 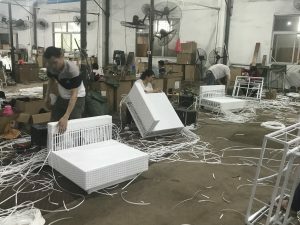 Once completed, quality control staff carry out checks on all the rattan modules and cushions. Following packaging and labelling, the shipping crew will then pack them expertly into a 40ft container. They pack up to 100 cardboard -wrapped packages into the container which in total can weigh up to 5000kgs. Containers leave the port of Yantian in China, and spend 25 days at sea before arriving at Felixstowe. The container arrives a few days later, following clearance by UK Customs. Our warehouse crew then cut the seal of the container and start unloading! So now you know a little more about the manufacture and supply of our rattan furniture! At Rio Lounge, outdoor rattan furniture hire is our speciality. Perfect for any event from a summer garden party, to an outdoor festival! Our rattan products are always our most popular hire items, and it’s easy to see why. With a whole range of co-ordinating sofas, daybeds, and bistro furniture for hire in both dark and white rattan, you’re truly spoilt for choice! Why not explore our range a little more, or contact us with your requirements!